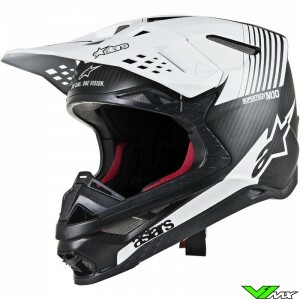 A motocross helmet is the most important part of the protective motocross gear. 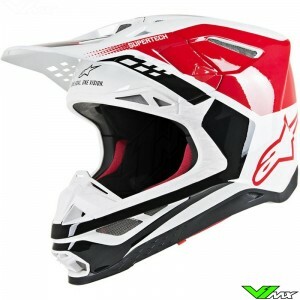 At V1mx you will find a wide range of motocross helmets from the best brands. 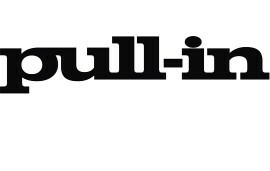 Check out the current range below. 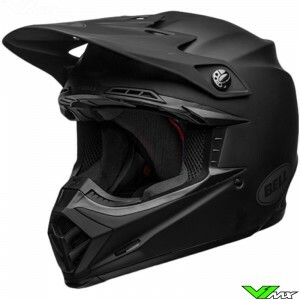 V1mx wants to ensure that every rider can ride as safely and comfortably as possible by offering high quality helmets from well-known brands such as: Bell, Alpinestars, Just1 and 6D. 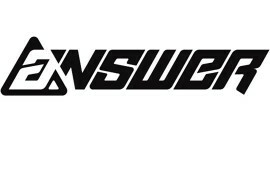 The helmets from these brands have been tested extensively by professional riders. By optimizing the shape and ventilation the modern versions provide better cooling properties. In recent years there has been a lot of innovation with the outer shell and damping systems to improve protection. 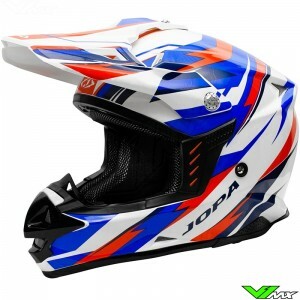 The price of a motocross helmet can vary between €80 and €800. The big difference in price is due to the large differences in technologies. The most important differences and things to look out for when purchasing a new motocross helmet are explained below. All helmets are designed to reduce linear impacts to the shell. A new innovation in the offroad world is the dampening of rotations which are caused by impacts at an angle. Research has shown that an angled impact can cause high strain levels in the brain. 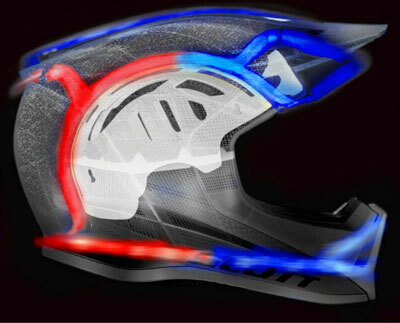 To prevent the brain from rotating a damping system has been introduces in a few of the modern motocross helmets. The most used variant is MIPS. 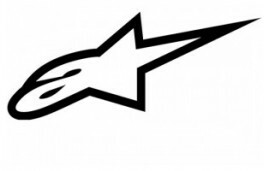 This system is used in various helmet such as the Bell MX-9 and Moto-9 and the Alpinestars S-M10. In addition there are also manufacturers who have developed a rotation damping system themselves, as Bell has done with the Bell Moto-9 Flex. 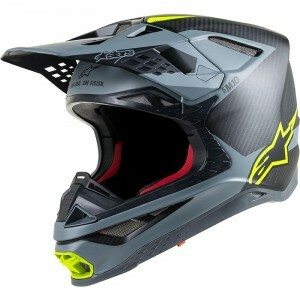 Carbon motocross helmets are the most advanced and most expensive head protection on the market. Carbon is a very strong and light material which has advantages for protection and comfort. 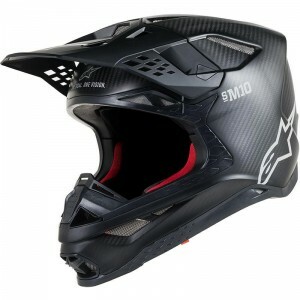 The carbon shell provides a strong cover that can distribute forces well and thus protect the rider. Fiberglass helmets are cheaper than carbon versions. This material is very good at absorbing impacts. It is not as strong as carbon but makes up for it due to the high degree of flexibility. 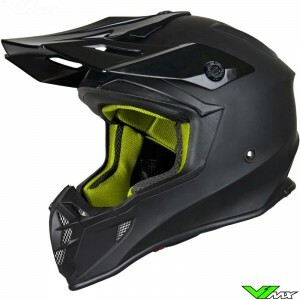 Polycarbonate helmets are generally the cheapest motocross helmets available and suitable for novice riders. We recommend replacing polycarbonate helmets at least every 3 years. Due to weather conditions and UV radiation the polycarbonate shell can lose strength. By using new materials and production techniques, lighter helmets are available on today’s market. 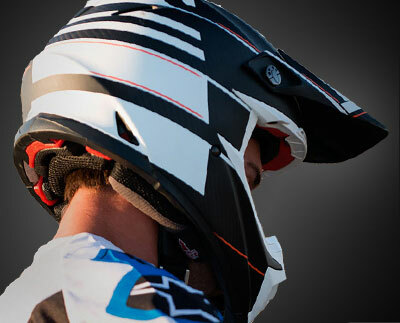 The weight of the motocross helmet affects the comfort and protection of the rider. 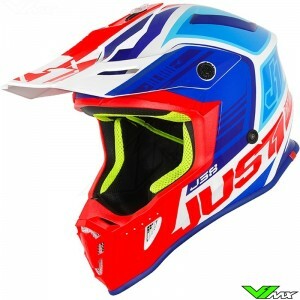 A lighter helmet provides better performance during motocross riding. Also it promotes the safety through a low impact during a crash. However, it is not true that low weight motocross helmets always offer better protection. This depends on more factors such as the damping system, dimension and structure. In addition to the weight, the ventilation is also an important aspect for reaching a riders potential during a race or training. With a good ventilation system you stay cool and prevent overheating. Finally, comfort is improved by the materials which are applied in the interior. Moisture-wicking fabric helps to take away sweat and soft padding ensures a good fit without pressure points. It is important to wear the right size helmet to ensure the protective design works as intended. You can easily determine the required helmet size by measuring the circumference of your head with a measuring tape. Use a soft measuring tape, then measure the largest diameter around your head. Start about 2cm above your eyebrows. Keep the tape above your ears and around the back of your head at the largest point. 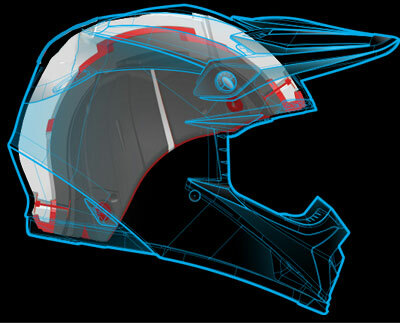 V1mx has a size chart for each helmet, so you can easy select the right size helmet. Once you received the helmet you should check if the helmet fits properly. Below you will find a step-by-step guide to determine if the helmet fits. In case of damage and after a crash, it is important to check whether it is still suitable for wearing. The protective effect of the damping system may have be compromised. When participating in competition your helmet can also be rejected, this is even possible in case of damage to the paint. It is therefore important to check the condition of your motocross helmet. 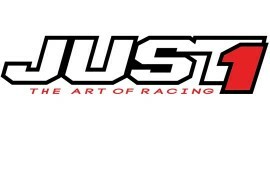 Helmets designed for the motocross have an opening at the eyes of the rider, called the eye port. In the eye port you can place a motocross goggle to protect your eyes and face. 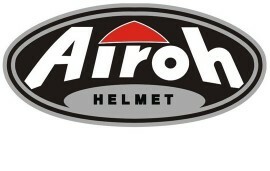 An alternative for enduro and adventure riders is a helmet with visor. These are equipped with a large plastic plate that goes over the entire eye port of the helmet. The advantage is that they are much more streamlined, making them more comfortable at high speeds. A disadvantage of a motocross helmet with visor is that you have less ventilation. 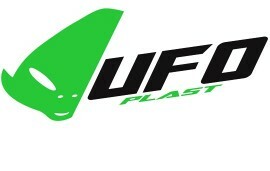 In addition, with a motocross goggle you can use tear-off sand roll-offs to remove mud from your field of vision. This is not possible with a visor. 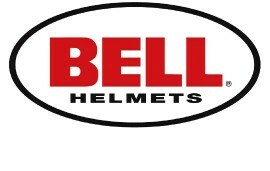 Do you have a question about buying a new helmet? 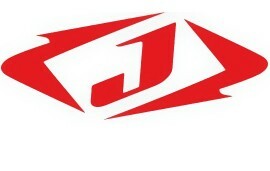 Feel free to contact V1mx, we will help you with choosing the right motocross gear. 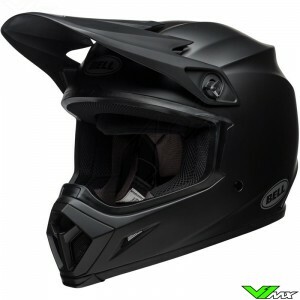 Because of our large selection, there is always a motocross helmet available that matches your riding style and budget. 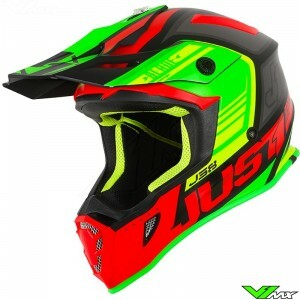 The helmets are available in various version and colors such as: black motocross helmets or orange motocross helmets. 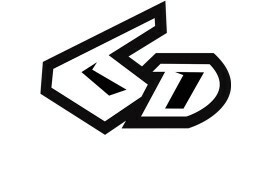 We also offer a wide range of motocross goggles so you can always find a combination that suits your gear kit.